Merlin, a 6-year-old neutered male Labrador retriever, was presented for his annual wellness visit. Merlin lived in an area where ticks were increasingly common and where Borrelia burgdorferi had been identified in local ticks as part of public health surveillance activities. Merlin was not receiving a tick preventive, and the owners had found a few engorged ticks of unknown species on him in the past year. Merlin was bright, alert, and clinically normal. He was afebrile, and physical examination was unremarkable. His gait was normal, and no joint pain or effusion was noted on palpation. B burgdorferi seropositivity was identified as part of multiplex testing for heartworm disease. Although B burgdorferi seropositivity was an incidental finding in this patient, the positive result required consideration because of the potential for clinically inapparent disease. Merlin had been evaluated yearly for B burgdorferi antibodies, so the result was consistent with exposure during the past year. Because the owners did not report any signs consistent with Lyme disease (eg, shifting leg lameness) and physical examination was unremarkable, the main clinical consideration was Lyme nephritis, an uncommon but serious condition. A free-catch urine sample was collected to assess for potential Lyme nephritis. Routine urinalysis was unremarkable (Table 1), and urine protein:creatinine ratio was 0.1 (reference range, <0.5). If proteinuria is identified, treatment with doxycycline is warranted; however, other causes of proteinuria should be considered. Antimicrobial treatment of clinically normal, seropositive dogs without proteinuria is likely not warranted. Identification of seropositive but clinically normal dogs is common in areas where B burgdorferi is endemic. Although doxycycline is clearly indicated in animals with clinical evidence of Lyme disease, there is controversy about the need for treatment of clinically normal dogs (Table 2). The recent ACVIM consensus statement on Lyme disease did not have a consensus approach to management of seropositive, clinically normal, nonproteinuric dogs.1 Most panelists did not recommend treatment because of concerns about overuse of antibiotics, lack of evidence that treatment reduces illness, lack of evidence that treatment can clear the bacterium from all tissues, and the fact that reinfection is common in endemic areas. There was consensus that subclinical Lyme-seropositive dogs should be regularly (eg, 2-3 times per year) re-evaluated for proteinuria, regardless of whether antibiotics are used. Lyme disease might be present but subtle and not obvious. If disease is so subtle that it cannot be seen, it might not be necessary to treat. Lyme nephritis might develop. Evidence is lacking that antibiotics prevent Lyme nephritis or that Lyme nephritis occurs because of active infection (vs postinfection inflammation). Lyme nephritis is a potentially life-threatening condition. Unsubstantiated treatment of a rare disease does not necessarily constitute prudent preventive medicine or defensive medicine. Treatment is unlikely to hurt. Antibiotic-associated adverse effects and emergence of resistance in the patient’s microbiota are concerns. Treatment might help reduce establishment of B burgdorferi in protected sites (eg, collagen in the skin). Seropositivity occurs well after initial infection, so B burgdorferi have probably already reached those sites. Merlin’s prognosis was excellent. His seropositive result indicated exposure to a tick weeks or months before the wellness visit. Because signs of disease were not present, it was unlikely that disease related to that exposure would develop. 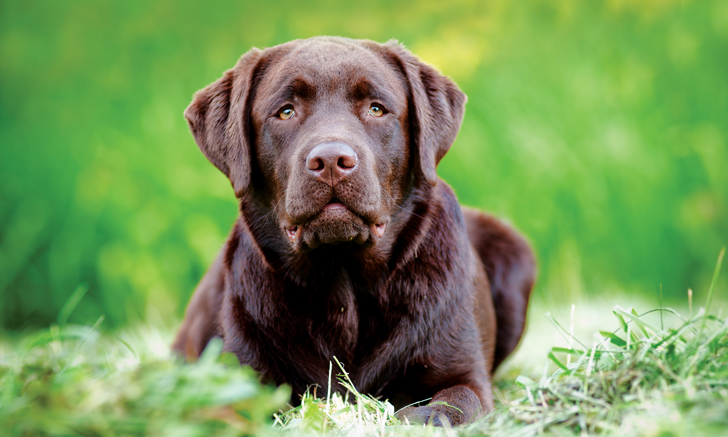 Seropositivity is common in endemic areas, yet disease is anecdotally fairly rare, meaning most exposed dogs mount an immune response and therefore become seropositive but do not develop disease. Lyme nephritis is of concern because of the severity of disease; however, it is rarely reported, and the pathogenesis of disease and factors that predispose to disease are unknown.2 B burgdorferi is rarely found in the kidneys of dogs with Lyme nephritis, and disease manifests as an immune complex glomerulonephritis.3,4 As such, immune-mediated disease—rather than active infection—is the apparent etiology, raising questions about whether an infection to treat is still present by the time Lyme nephritis is identified or whether disease occurs during a postinfectious state. Although there is no universal approach to seropositive but clinically normal animals, treatment of seropositivity in the absence of proteinuria is likely not warranted. The owners submitted urine samples from Merlin twice over the next year, and proteinuria was not identified. Merlin was clinically normal at his next annual wellness visit. His owners had been diligent with tick prophylaxis and had not observed any ticks on him since the previous visit. At his latest wellness examination, antibodies against B burgdorferi were identified but were likely residual levels from his prior exposure. Twice-yearly rechecks were recommended to assess for proteinuria. Although B burgdorferi seropositivity should not be dismissed, its presence does not mean Lyme disease is present or is likely to occur. Seropositivity should be taken as an indication that tick prophylaxis is needed or that compliance with prophylaxis has been poor. Newly seropositive dogs that are clinically normal are unlikely to develop Lyme disease, but periodic evaluation for proteinuria is warranted. Littman MP, Gerber B, Goldstein RE, Labato MA, Lappin MR, Moore GE. ACVIM consensus update on Lyme borreliosis in dogs and cats. J Vet Intern Med. 2018;32(3):887-903. IRIS Glomerular Disease Study Group, Goldstein RE, Brovida C, et al. Consensus recommendations for treatment for dogs with serology positive glomerular disease. J Vet Intern Med. 2013;27 Suppl 1:S60-S66. Chou J, Wünschmann A, Hodzic E, Borjesson DL. Detection of Borrelia burgdorferi DNA in tissues from dogs with presumptive Lyme borreliosis. J Am Vet Med Assoc. 2006;229(8):1260-1265. Hutton TA, Goldstein RE, Njaa BL, Atwater DZ, Chang YF, Simpson KW. Search for Borrelia burgdorferi in kidneys of dogs with suspected “Lyme nephritis.” J Vet Intern Med. 2008;22(4):860-865.